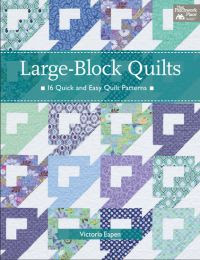 Spun Sugar Quilts: Thimbleblossoms pattern and charm pack giveaway..
What a cute charm pack. I'd love to make a charm pack bag out of those!!! I would love to see an adult skirt on moda bake shop. A simple easy, peasy skirt. Love ThimbleBlossoms! I'd like to see some different runners on the Bake Shop... theirs only been one or two? How about a softie out of a layer cake? Maybe a bird? Or since Christmas fabric is coming out it could be a dove softie Christmas ornament made with a charm pack or layer cake. I've got a post about it on my blog too! Thanks for hosting the giveaway! I'd love to see a tutorial on how to make a lunchbox or a cozy for a water bottle. Softie is a good idea. Eco-friendly shopping bag.... table runner.... home accessories, I know there's a lampshade on the site today. I would like to see more charm pack projects on MBS cuz i am living in smaller quarters for now, and have been buying charm packs but not sure what to do with them now. WHAT a great giveaway! Thanks for the fun. I would love to see a cute bag on the Bakeshop. okay...i know i'm on the moda bake shop with you...but i have to have a go at camille's stuff. i love tablerunners. you could never have too many, in my opinion. so how about a nifty vickie tablerunner made out of a charm pack. I would like to see a case to hold all of my small templates and rulers. I love Moda Bakeshop and have a notebook full of their projects. What a fun giveaway -- I'm with Annelies -- I'll go with something Christmas related. So I would love to see something for around the house, like curtains, tablecloth, or something art-y like a cool wall hanging. I'd like to see a crib set. I would love to see some more purses or bags. I just love these collections because I am not good at matching fabrics for a project. I'm like Sara, I have a hard time coordinating fabrics and my source for fabrics doesn't sell by line. So, ordering FQs etc on line by designer is a great help. Maybe have articles on coordinating colors? I know that's not a craft project, but maybe incorporate a mini class with a tabletopper for practice? I'd love to see more of the same. There are such fun things on the site - I'm sure I'll eventually decide which one to do first. I love Moda Bakeshop!!! I'm a fairly new quilter and I love the charm packs ~ everything is coordinated for me! I would love to see more home decor items, small wall hangings with perhaps some applique....I'm already in love with the fabric lamp shade just posted. And I would just die to win this giveaway!!!!! I love Camille patterns and fabric!!! How about fabric covered baskets or boxes? I would love to see a pattern/tutorial for a photo album on Moda Bake Shop - 12" x 12" maybe? Love charm packs in general! 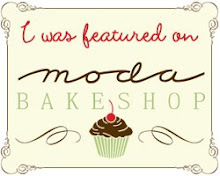 I love everything that I have seen on the Moda Bakeshop. I think the runners are amazing but also bags are incredibly fun! Someone else mentioned a strippy vest--I thought that was a great idea, too. What about a cosmetic/stash type of bag? Have a great weekend! I would love an adult skirt (perfect for summer) tutorial. how about a christmas in july theme, (might actually get finished for christmas 20???) I love the charm packs, I have bought so many but can't bear to cut into them! LOL crazy yep thats me! or a sewing set (sewing machine mat/pockets, bag, pincushion needlebook etc) yes I know they have all been done before, but with your twist.. or how about a book bag, library bag, armchair caddy.. 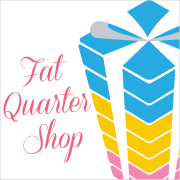 I guess its endless what you can use charm packs to make..
it is sad when your local closes down, we've lost so many here where I live, the big chain has pushed out all the dress making fabric stores, so I wonder how long it will be before all the quilt shops go too??? I'd like to see a small wall--hanging using charm packs. Also, I'd love more table-runners. Thanks for asking! Love your items for your give-away! Thanks for sharing! I would like to see 3-D coasters of a hexagon shape! I'd love to see bags (purses, totes, etc), of course baby quilts, table runners, etc. I love all the ones that have been on that I would have never thought of, though! Like the newest one - the lampshade, and also the beaded "curtains" - so creative! I would love to see a Moda summer easy jacket...maybe even a short sleeve one, for an adult. Also, I woud love to see a cute skirt for a very tall 8 year old (my grandaughter Sydney). All the cute girlie patterns don't come in size girl 10 for a skinny ballerina girl. I'd like to see pincushions...really clever ones or unusual tablerunners. Great giveaway! I would like to see a ironing board cover or a Christmas stocking. I would like to see how the wrapped and folded ornaments are made. Always things with charm packs. I seem to always pick them up. I would like to see an apron with charm squares. Easy baby quilts with charms, maybe 4 patch with charms and alternate with one fabric block. I love your blog. It's my go-to one and I check out all the others from yours. i have to second (or whatever number I am now) that more charm pack ideas would be great. not sure if it would work, but maybe a toy or softie that could be made from leftover pieces from different charm packs/jelly rolls, etc. Good Morning - I'd like to see some coordinating pillows made from the fabric squares with maybe some bird appliques...I've also always thought charm squares could be used to make something with a snowball block to really show off the fabrics...a lap quilt or runner? I would like to see tea cozys, I think they are actually quite useful for those that steep tea in a pot and can be very cute. 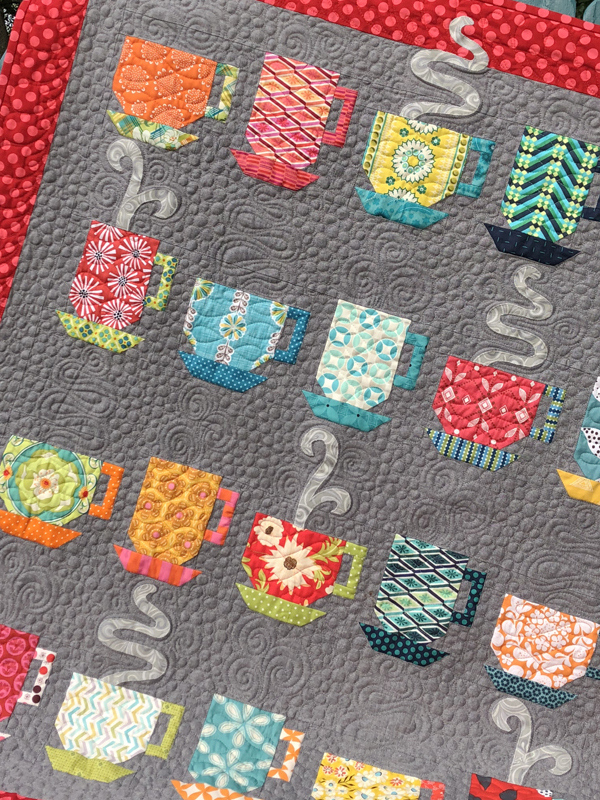 I'd like to see more projects that combine more than one type of precut.. like a charm/jelly roll combo kinda thing! I love bags of all kinds. One to carry small projects would be nice. I love Moda Bake Shop - would love to see pincushion patterns and holiday patterns - especially Christmas and Easter ideas. I think I would see some really cute pincushion patterns to be made out of charm packs. I love the Moda Bake Shop. I would like to see more table runner patterns and tote bags. Love Camille's pincushion pattern. What a great giveaway! I would love to see a tie, one for a little boy and matching for daddy! There's always cute things to make girls out there, but not a lot for the men in my life! I can already see it great in neptune or something moda! I just got a new laptop and I'd love to make a really nice case for it - that's what I'd like to see. S-W-E-E-T! Love the charm pack (i love charm packs)! Great Give-Away! I'd love to see a tea cozy- that'd be so cute! I'd like projects that feature layer cakes, jelly rolls, and charm pack. I love the current lamp shade project. I'm going to do it--maybe several of them. P.S. I also posted a link on my blog. I'd love to see an idea for placemats at the Moda Bakeshop. Anything fast and cute is fun for me! do you have any headband patterns? I would like to see a lunch bag pattern or tote bags. I came to your blog via Blackberry Creek. I like to see more ideas for pincushions! Thanks! Great giveaway! I love the charm pack and I'd love to see a cute bag or table runner at Moda Bake Shop.